I know, and not before time. So tell me, how are your New Year's Resolutions working out for you? As for me, I've already achieved one of my resolutions rather prematurely. And it's only January 22. I have managed to eat ALL the calories I planned to consume for the whole of 2013 in just a 21 day period. I repeat 21 days. I know, that is actually quite an amazing, if not a rather shameful, feat isn't it? You see, I've been all at sea for the past few weeks so I apologise for leaving the blog high and dry and seemingly all washed up. 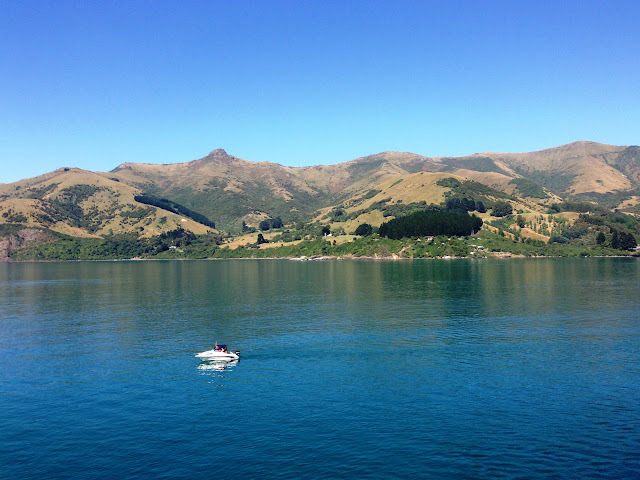 I've been rolling around the Tasman Sea visiting the beautiful New Zealand. 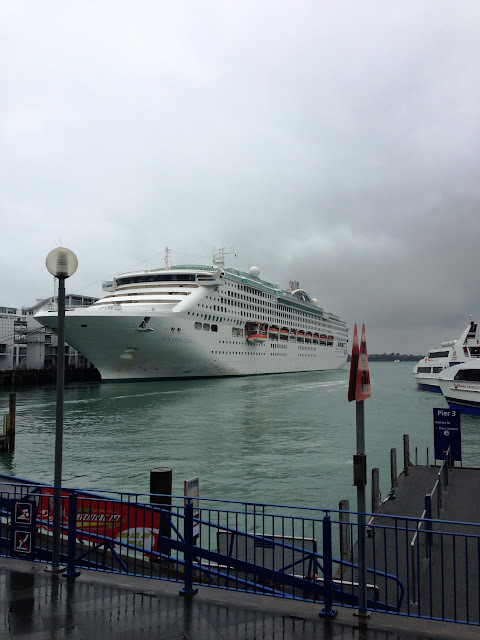 A Princess cruise ship – yes, the same cruise liner that featured in the Love Boat TV show last century (and if you don't know what I am talking about then this blog is not for your demographic at all). While Captain Stubing was nowhere to be seen and the TV show clearly bordered on the fanciful, my first cruise was fantastic for many reasons. It was plain sailing all the way which was not hard to achieve considering the staff to passenger ratio was 900:2100. Well plain sailing most of the way. Apart from that 24 hour period towards the end of the cruise when I actually thought we were heading for the rocks. I now understand what the term 'batten down the hatches' actually means. All I know is that the answer to sea sickness is to keep horizontal in between sipping plenty of of colourful drinks in long tall glasses. And.... eating green apples. Who knew? Of course I was full of good intentions about blogging. I could have, should have and would have BUT I found it incredibly difficult to type with cutlery permanently in my hands. I mean there were the restaurants, the grill, bistro, the pizzeria, the bars, the patisserie…….I was between the devil and the deep blue sea deciding where to eat next as opposed to thinking about what to write next. I think the majority of those 900 staff had to be chefs and kitchen staff. Because the gym, from the vantage point of my deck chair, was never that busy at all. Let's just say that the nautical terms beached whale and wide berth have now taken on a deeper meaning for me. They say that with experience comes greater understanding and I am definitely feeling it. I knew I was going to be in trouble the moment I opened our cabin door and saw this little welcoming gift. Chocolate covered strawberries (I couldn't even wait to take the photo before I had to try one). After much tooing and froing, I decided just to throw caution to the wind and 'enjoy'. Food aside, I also discovered something quite interesting for us mature folk. During some high jinks on New Years Eve, I found out that if you stand on the top deck of a massive cruise liner in the middle of high force winds (possibly just short of a tornado) anything loose on your person is blown to the back of your head somewhere. This strangely enough includes not only your clothes, hair, cobwebs and cocktails but also your jowls and wrinkles. It leaves everyone looking like they've been strangely 'refreshed'. So now I'm investigating whether to purchase an industrial fan instead of saving for surgery (I really am not serious about the surgery but the fan is another matter). But, best of all, along with the great company, I had the most relaxing sleep ever. I have had terrible insomnia for a long time. It made me extraordinarily happy even though my daughter didn’t quite understand my hysteria. 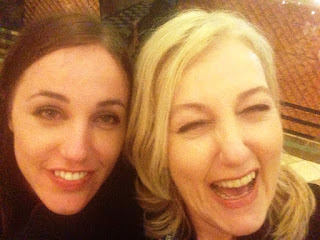 That is probably because this 'happiness' may have been caused by a combination of good sleep and cocktails but...it was all fun. My mother came with us and it is no surprise when she said, "Do not put my picture on your blog".....I cannot imagine why. I will leave you with a couple of pictures of New Zealand – I know, there is nothing worse than other people’s holiday snaps but I am sure one of your New Year's resolutions is to show greater tolerance for others so......I would like to help you achieve it. New Zealand is so beautiful, whichever way you look at her. She was without doubt, the shining star of the show. If you ever get the chance to visit. Do it. I will post some more pictures of my holiday in my Photos blog in the next couple of days (compulsory for family but the rest of you get a free pass). It is true, even NZ sheep are spectacular. I really miss being waited on hand and foot the ocean, but it is great to be on Australian soil again. However, in saying that, it is so incredibly hot here that I think the coast is clear - the notion of an industrial fan is definitely not out of the question or in the least questionable……now. And thanks Sun Princess for recharging my batteries and inspiring my theme for 2013 - Just Roll With It. Oh yes! I LOVED New Zealand when we spent a couple of weeks there. We've been on one of those Princess cruises to Alaska so I know just what you're talking about. It's lovely to be so pampered. We didn't gain weight though. I think it's because we were running around watching out for my mother and aunt. Did you see the Moeraki boulders? I would love to go back to NZ. We wanted to see more of Australia, but it's so darn big that you've got to fly everywhere. Yes Kay isn't it spectaculor. 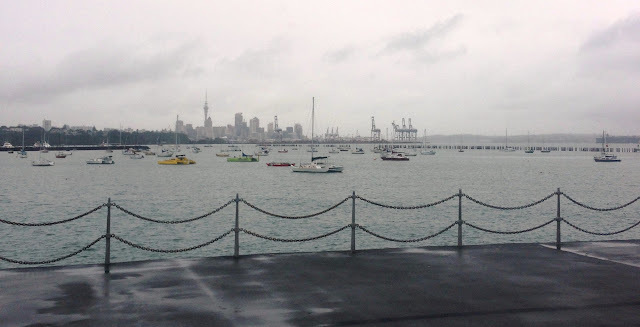 We visited Auckland, Tauranga, Akaroa, Napier, Wellington, Dunedin and unfortunately due to the bad weather we missed the Fiordland National Park. I will be back to NZ for sure. Next time by plane. And yes Australia is so huge you do have to fly everywhere. NZ is much easier to get round and see everything. Such a pretty country. Yes I was running around everywhere too from eating venue to eating venue. It really wasn't as bad as I am making out but I did eat way more than normal. My sister and her family went to Hawaii after Christmas and had a fantastic holiday. They stayed in the big island for a week and then went to Maui. Must come back to Hawaii some time too. I shall be over to check on what you are up to soon. Welcome home Lilly! We have missed you! Glad to hear you love New Zealand as much as I do. Thanks for sharing your photos and your antics! You will now have to get used to the hot weather we are experiencing. Sydney had a record high the other day 45.8C!! Hope Brisbane is a little cooler. Thank you Peggy. I missed you guys too. Put it this way, I did not check the internet once in all that time and just did not miss it. Thought about it and that is it. Looks like a wonderful trip. 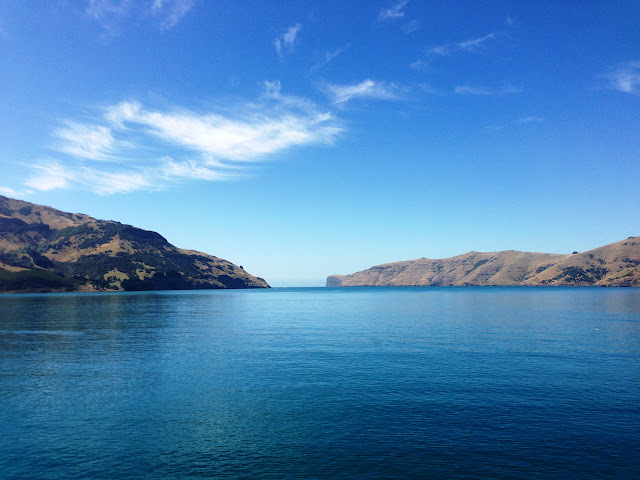 I spent some time in Tasmania and loved it, and would like to go back to New Zealand. 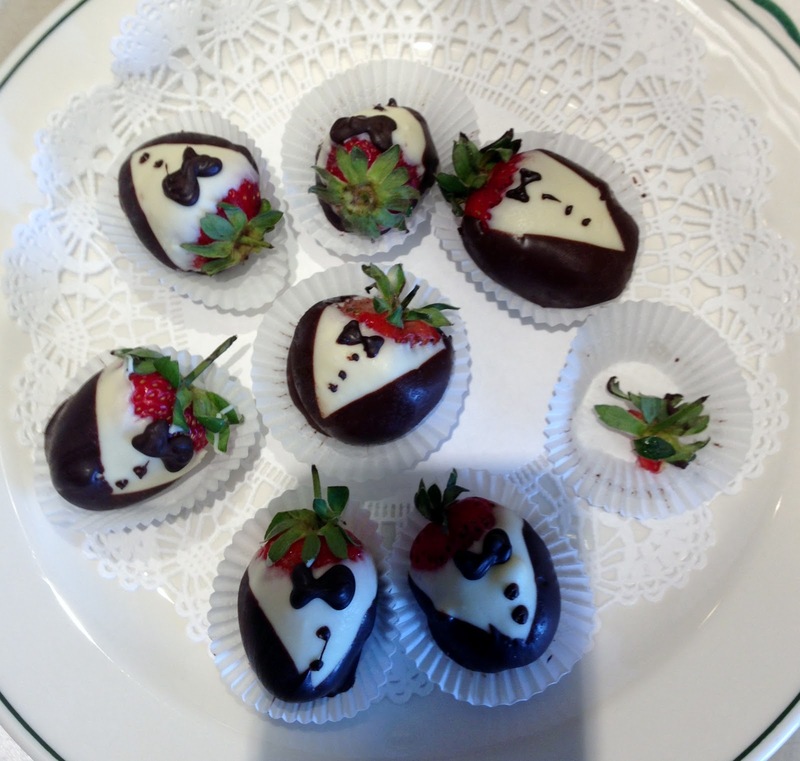 (Those are the cutest chocolate covered strawberries I've ever seen. You visited Tasmania? How wonderful. NZ and Tasmania are alike and cold too. I must plan a trip to Tasmania again soon. Those strawberries were delicious and a fab idea. That looks so fun. I enjoy cruising more than other types of vacations. There is just something about having food available 24 hours a day that I don't personally have to prepare that makes me extraordinarily happy. Love your pics! I have never been to NZ and would love to go sometime. Thanks Aleta, it was fun and surprisingly relaxing with 2,000 other people on board. Be over to check on you and Greg soon too. I just thought I'd stop by to see what you are up to these days. What an amazing adventure!!! RHONDA!!!!!!!!!!!!!!!!!!!! does this mean you are back blogging? So hope so. 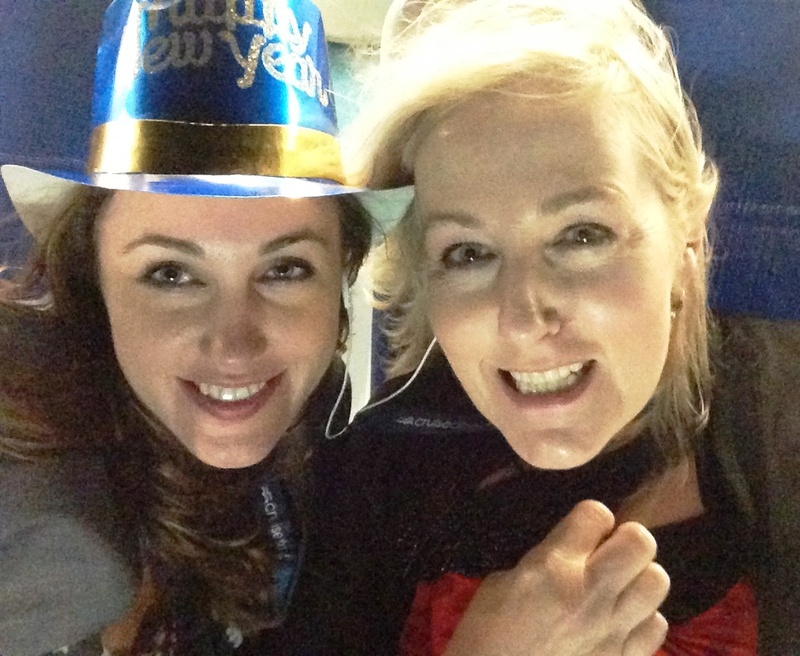 so great to hear from you Lilly, and glad you enjoyed your cruise and New Zealand! I love your photos, never boring! And your beautiful daughter looks exactly like you. Thanks Christine, I will put some more up on my Photos blog that I rarely use by tomorrow. Will be over to visit soon! BTW your Twitter feed had a weird entry! Oh thanks for letting me know about Twitter - geez - it wasn't me. How is that possible I wonder? Idiots!!!! NZ is amazing - I kept wondering why the Kiwis come here to live in droves. The economy perhaps? I would love to go there and live for a while and its easy to do that too. We don't even get our passports stamped to go there. YW the sea never decided to do a little jig - and yes they have paper bags placed strategically around the ship for just that reason, lol. It actually made me think about that Jessica who sailed round the world in that small boat - incredible really. Lucky you! That area is on my bucket list of places to go, but at this point it's pretty far down the list. I'll have to experience it through your pictures. I was lucky but of course NZ is pretty close to us but I have only ever visited it once many years ago. I really hope you get there one day Kathy. 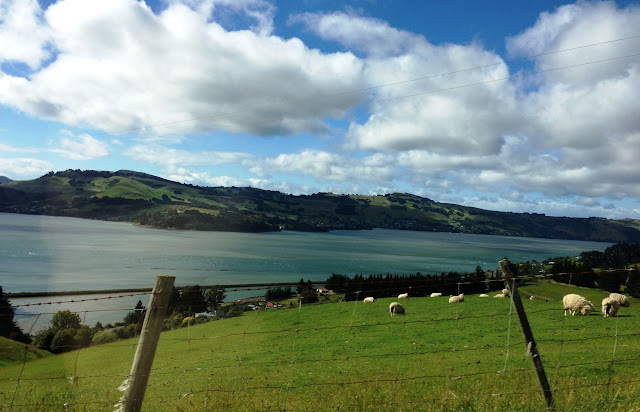 The picture of Dunedin reminds me of Ireland. I've never been to that part of the world. Looks great. 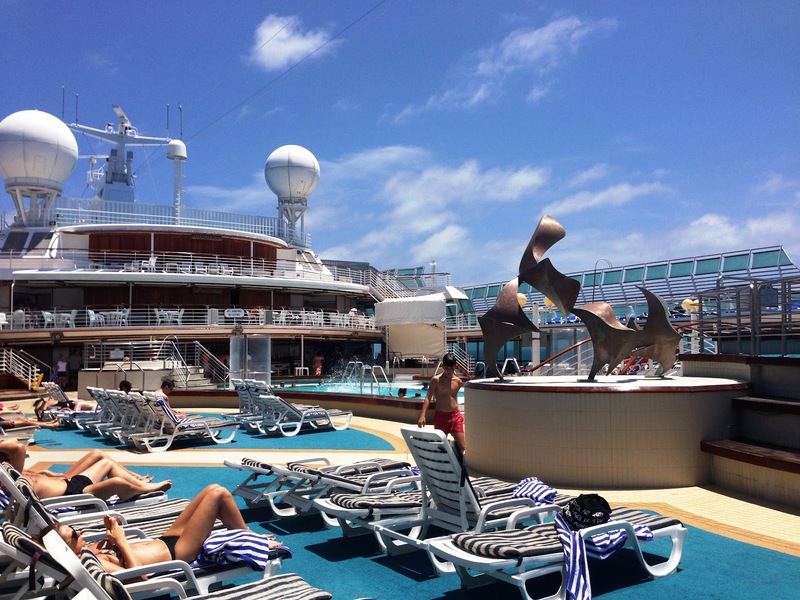 Speaking of looks - is that you on deck lounge chair soaking up the sun? Yes the city is called the Edinburgh of the South. Settled by Scottish so when you see the city itself you will think you are in the UK. The weather is the same anyway - quite cold. You know I knew you would ask that question - I should have put a comment on the photo. No, if that was me in a bikini there would be a whale alerts lol. I was taking the picture, lol. And it was great. Something new for me but many people do cruises back to back all year. Wont do that but it was a good experience. Hi Lilly, I am officially jealous of your glorious cruise-- It looks like a fantastic time. And who knew green apples did the trick with sea sickness! Thanks for the tip. 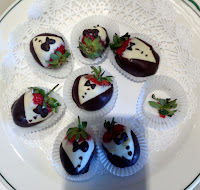 And you totally cracked me up with the photo of the chocolate strawberries, minus one :-) Loved that. Of course I'm right there with you on having already consumed all my calories for 2013-- only difference is I ate potato chips, M&Ms and too many Oreos-- Not gourmet cruise foods. Ha! 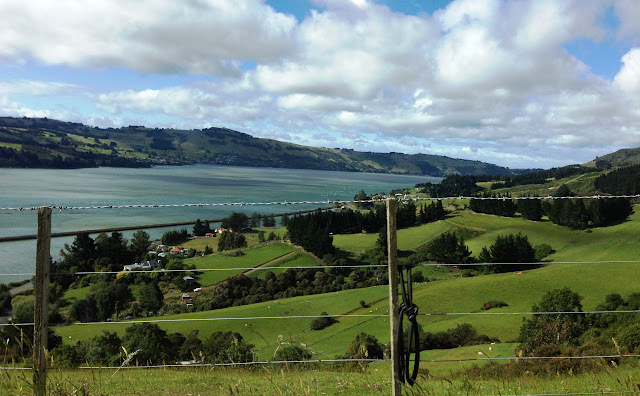 Travelling is probably one of the most inspiring ways to start the year and New Zealand is the perfect destination to refresh our energy levels. Thank you for sharing your wonderful pictures! Thanks for dropping by Raquel and I agree, NZ was the perfect destination. Very nice photo's, some rather looked like the San Juan Islands on Washington's Puget Sound. Glad your food was good; my one experience on Carnival Lines was dismal, food wise. Glad you are back, you were missed. New Zealand is a great country. Lilly's ba-aaccckkk! Now I can breathe again. (I was waiting to exhale.) what a way to start the new year. A cruise. Your trip sounds worth any tiny bit (or big bit) of weight you gained. New Zeland! Great food! Being waited on! Bonding with family! Great sleep. Instead of resolutions, next year I think I'll plan to start out the year doing something wonderful (besides just being alive). Thanks, Lilly. I think that is the best resolution you can have, START AS YOU MEAN TO CONTINUE. A positive start and a positive year. Will be visiting you soon as well.